Commercial warehouse development is on the rise, and there has also been an increase in speculative construction. For example, more than half — 62% — of the 59 million square feet under construction by the end of third quarter in 2013 was being constructed without signed tenants. Currently, the U.S. storage and commercial warehousing industry is worth an estimated $26 billion and this figure is expected to continue increasing. E-commerce is expected to grow as well at a compounded annual average rate of 10% over the next five years. Simply put, more and more businesses are leasing a warehouse, leasing office space, or a combination of both. This created tremendous opportunity not only for owners and developers of warehouse and distribution space, but for their customers as well. If there’s anyone who understands this, as well as the ins and outs of the warehouse and distribution industry, it’s the Ruthvens. The Ruthvens, a successful family owned and operated commercial warehouse facility located in central Florida, specializes in distribution, manufacturing, and industrial warehouse space. With decades of industry experience, solid business and community ties, and a customer-focused business model, the Ruthvens are leading commercial warehouse authority in Central Florida. If you’re considering leasing a warehouse, here are just a few out of many reasons why you should make the Ruthvens your one stop shop for your distribution warehousing needs. While the Ruthvens have more than enough industry knowledge to compete with larger, more corporate warehousing companies, they have always made the needs of their customers their top priority. As a family owned business, the Ruthvens are diligent in responding to customer inquiries quickly, and can even be onsite within 15 minutes. The Ruthvens are conveniently located in Central Florida, with quick access to major highways like Interstate 4, US Highway 27 and Interstate 75. 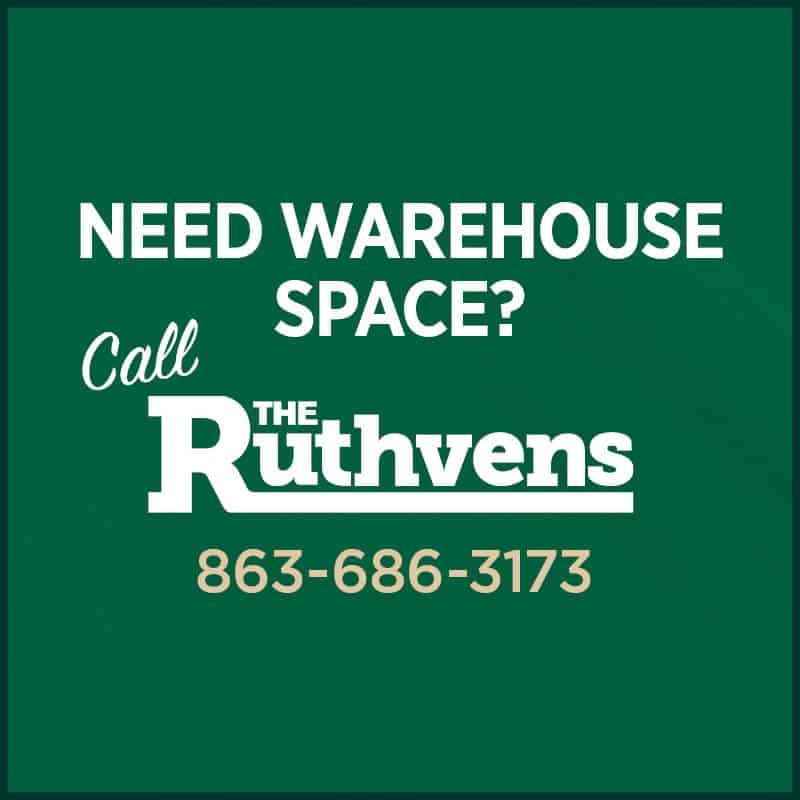 Due to their central location, the Ruthvens Industrial warehouses are within 100 miles of over 10 million people. Their location in Lakeland is why it’s the central point in Florida for logistics. With a total capacity of over three million square feet and flexible warehousing solutions, the Ruthvens can accommodate any and all warehousing needs. With over 80 buildings in their portfolio, including block, concrete, steel frame, and stucco, the Ruthvens are able to easily modify their buildings to meet whatever square footage you may need. Expansion is always available with The Ruthvens.